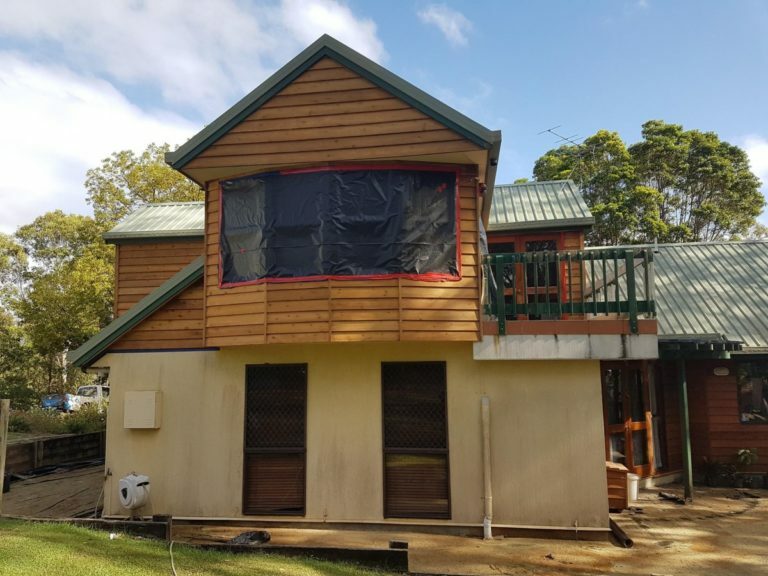 So today Enviroprep got the opportunity to do some Building Restoration in Sunshine Coast. Kevin from Kureelpa up in the Sunshine Coast Hinterland gave us a call. Kevin was given the job to re-stain his dads place. 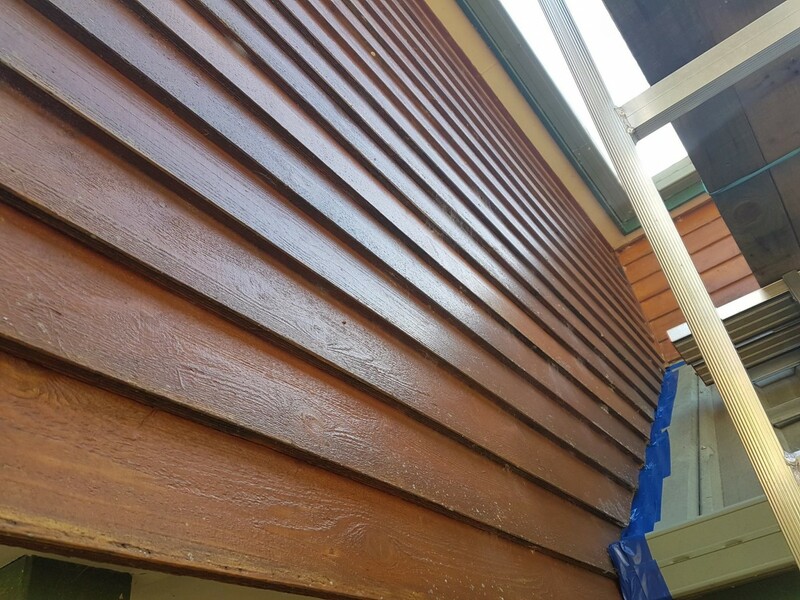 The house is a soft Canadian timber home that has been stained a couple of times over the years. So Kevin has been painstakingly scraping the stain from the timber by hand. One wall into it and four days later. 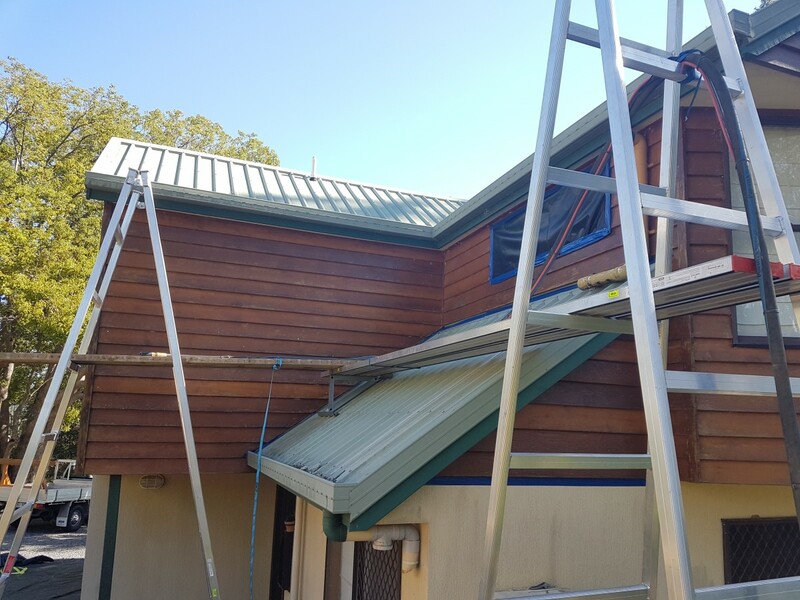 So Kev called us up and asked us if it was possible if our Dustless Blasting system would be any good for this kind of work. Kev did ring around other businesses. 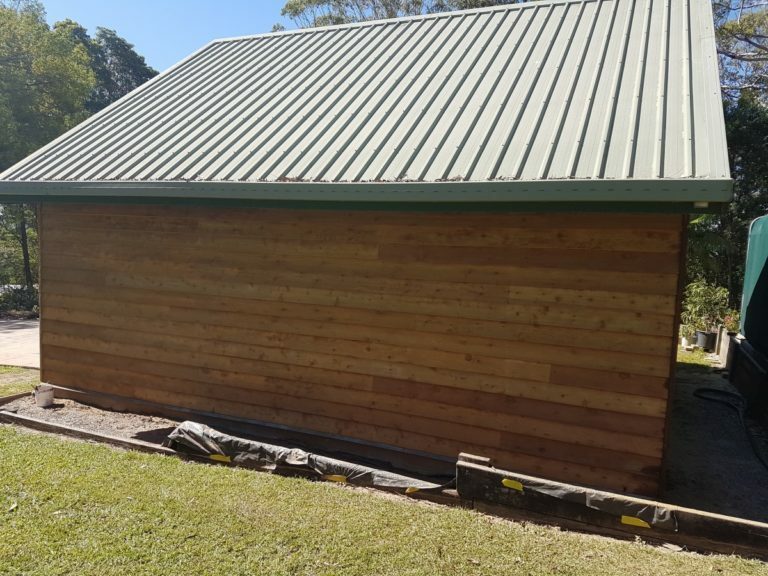 He was laughed at and his appreciation is in his review when Enviroprep told him that they would come and give it a try. The Dustless blaster is an amazing piece of kit. Versatile, and the way to go for many previously labour demanding tasks. As a painter I found it to be invaluable on a difficult job with a high demand for quality. The 5 stars is not for the machine though. We contacted others in the area with the same system and were ridiculed and brushed off as “can’t be done”. Dan stepped up to the plate. He was very co-operative as we had to experiment to get the right outcome, on his day off too. Prompt and friendly service, co-operation on difficult tasks and a can do attitude is what the 5 stars are for. If you need a Dustless Blaster, Dan’s the man. Wow now that is a review. So with enthusiasm in check we headed up there to take a look at what we could do with this building restoration. It took a little testing and playing around with using different media and different PSI but in the end I think we got it. Using .85 Recycled Glass which was a lot less harsh on the timber then Garnet and running at 70PSI we started cracking into it. The opposite wall to what Kev scraped by hand over 4 days we did in approximately 3 hours with a little playing around and testing. That has got to make life a little easier doesn’t it? Enviroprep managed to complete the job over 5 fairly small days as we were doing it in sections. Kev and his father John were extremely impressed with the outcome. 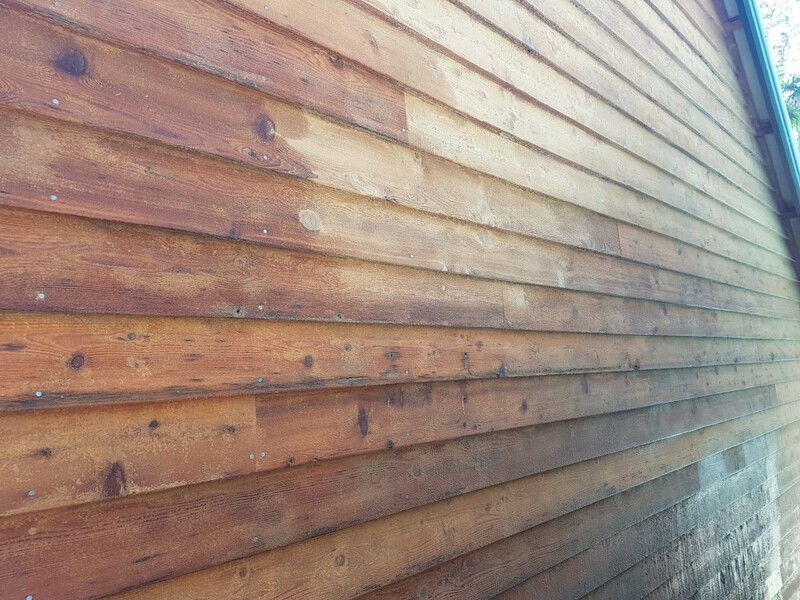 The stain came off without damaging the timber. 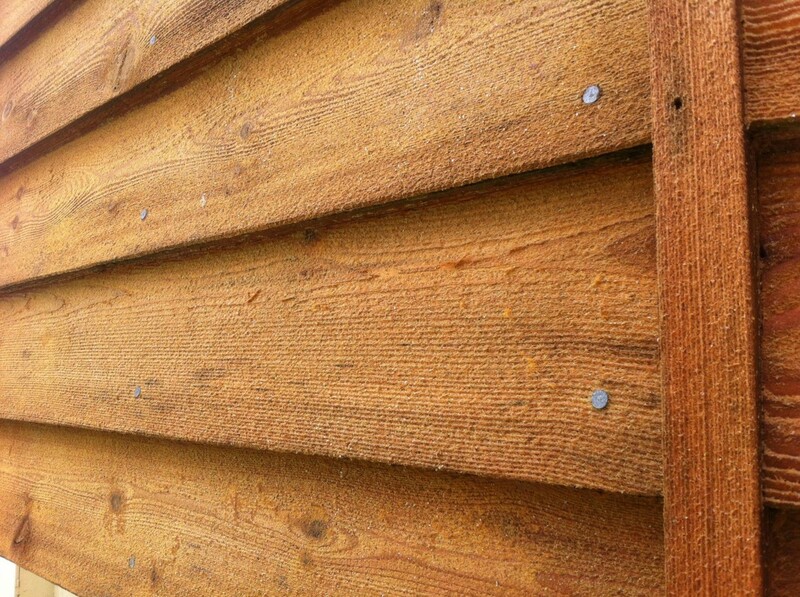 The pressure from the dustless blasting did bring out the grain more without making the timber fury. So if your looking for something that is a little different in building restoration in Brisbane or the Sunshine Coast then call Enviroprep.